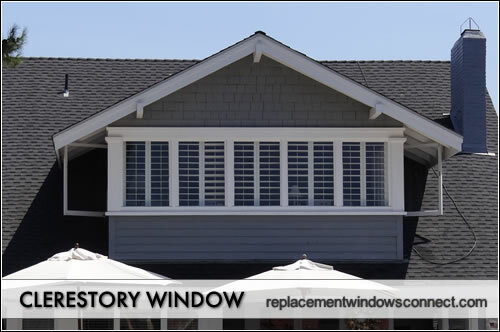 Clerestory windows are a series of horizontal windows that are placed high along a wall or on an upper story of a home. These windows are installed above the surrounding roofline and allow a lot of light into a room while maintaining a high level of privacy. The term, clerestory, is an architectural element of a home that is pronounced “clear story.” They can be visually stunning, adding a unique and beautiful element to a home. Clerestory windows were first used in Gothic cathedrals, where a row of windows was placed on an upper level to provide illumination to the large space. They are often placed above the low rooftop but underneath a roof overhang. Some consider them an expensive and classy alternative to skylights. They have some real advantages to skylights, including being less prone to water leak and ice buildup, as well as a better way to ventilate roofs, attics and interior spaces. Clerestory window costs will vary, but are at the top of the price scale. This is because clerestory windows are almost always custom made and will typically involve some level of demo, carpentry and finish work from an experienced contractor. Usually at the economy level, there will be 3, 4 or 5 frames that utilize standard window glass. 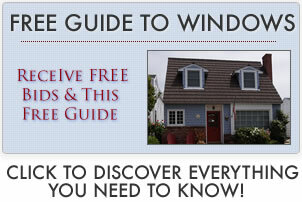 They will usually be smaller to medium sized windows that are fixed and do not allow for ventilation. A mid grade option may or may not have adjustable options (casements, single-hung etc.) on the edge windows. Often 4,5 6 or more windows placed equi-distance apart. Almost always wood framed windows that will can be quite larger than traditional clerestory windows. At this price level you can expect high quality window glass (double or triple paned), complete with gas fills and insulation. High end options may use adjustable windows such as casement or awning to increase ventilation and air flow through the room. Expect to pay $800 to $2500 for installation. This is a good sized project that can be tricky due to the location of the windows and the skill needed to implement it correctly. The biggest cost will involve opening or reducing down the “hole” for the framing and windows to be installed into. This is the primary reason most homeowners opt for a clerestory setup – they can add lots of natural light to a room and a home. This can reduce the need for as many lights during the day and will save on your energy bill (not much, but it can add up over time). Unlike a standard window that add light but open up a room to the outside world, clerestory windows are too high for anyone to see in the house. If the windows are adjustable, they can add great cross ventilation to a room and a home. The air flow is more indirect than a standard window as the breeze comes in at the top of the room and helps to get rid of rising hot air through thermal siphoning. This can reduce the cost for air conditioning. There aren’t too many drawbacks besides their high cost. They are definitely one of the more elaborate setups for home windows and you certainly pay for it. The only other knock on a clerestory window is their tendency to absorb heat because there of a large area of window. This is usually more than offset by the ventilation options. If you are using fixed windows, there are UV coatings that can be placed over the windows to reduce heat absorption.